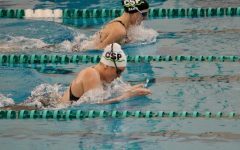 “Swimmers, take your mark.” Since she was 6-years-old, swimmer Sophie Thompson, a freshman at CHS, has heard these four words more times than she can count. Thompson began swimming on the Algonquin summer swim team. After enjoying her time on the team, she decided that swimming was her passion and wanted to tryout for Clayton Shaw Park swim team (CSP). Fortunately, Thompson made the team and began to swim year round. And the rest is history. From the first time Thompson jumped into the water, she realized swimming was the sport for her. 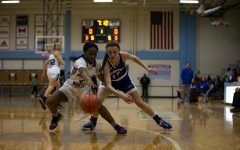 Growing up, Thompson has played multiple sports. 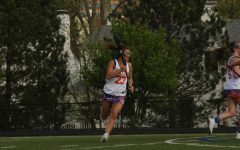 Before high school, she played on a recreational soccer team and ran cross country and track. Now, in high school, she is a member of the CHS golf team in the fall and plans to join the track team in the spring. Understandably, swimming has been her favorite sport thus far. “I have just been swimming all my life, I’ve just grown to love it. Days when we don’t have swim practice, I go home and I have nothing to do. I like getting a work out and pushing myself,” Thompson said. Through swimming, Thompson has been able to become friends with people who she otherwise would not know. 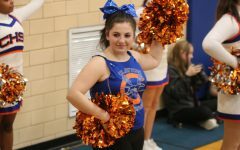 Everyday, Thompson looks forward to CSP practice as she knows she will have an opportunity to see her friends from other St. Louis area schools such as Ladue and Webster. 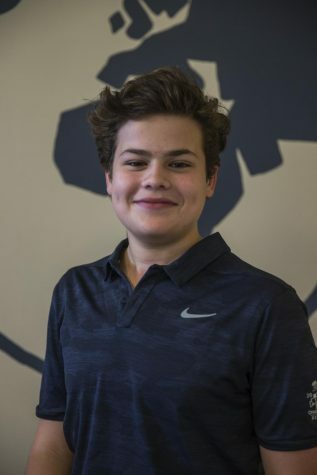 Now in high school, Thompson juggles being on two different swim teams and commits a significant amount of time to the sport. 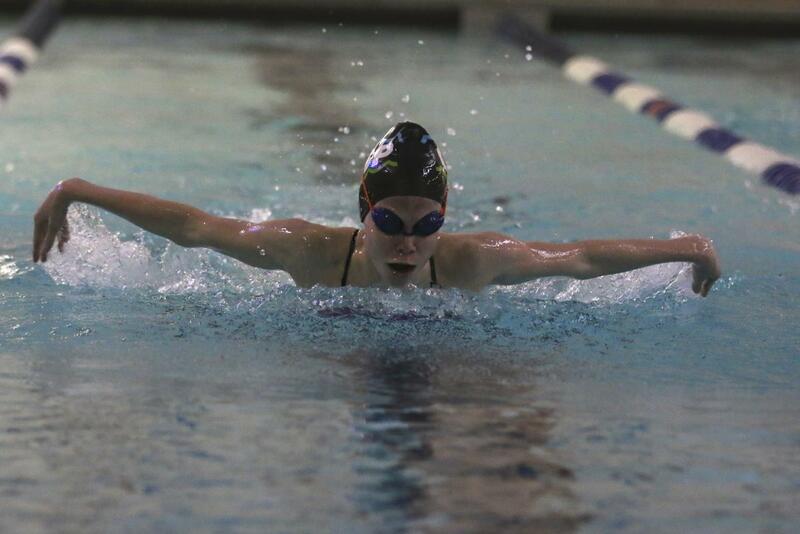 When CHS swimming is not in season, she swims for her club team two hours, six days a week. In the summer, the amount of time she spends in the pool doubles as she attends daily morning and evening practices. However, when it is CHS swimming season, Thompson makes an effort to be dedicated to her high school team. 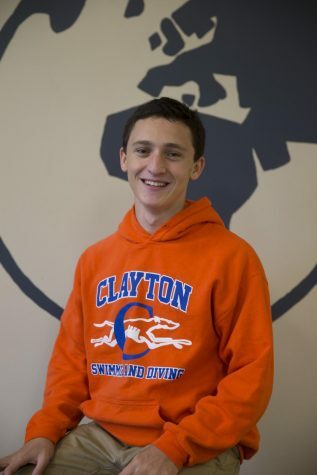 To remain committed and passionate about swimming for nearly a decade, Thompson has looked up to various swimmers for motivation and inspiration. When she was younger, Thompson’s role model was Missy Franklin, a two-time Olympian on the United States swim team. Just like Franklin, Thompson’s primary stroke is backstroke. However, now, Thompson’s role models are older girls she has met on her club team. Specifically, Thompson looks up to a swimmer she used to swim who swam at the Olympic trials and now is a freshman swimmer for the University of Texas. Fortunately, Thompson has not needed to overcome many challenges or obstacles during her swimming career so far. 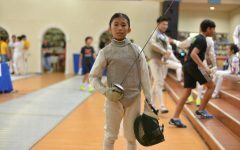 Though, last year she questioned her passion for the sport. “I went through a phase last year in which I didn’t really like swimming and going to practice at all. I dreaded it,” Thompson said. Thompson was able to quickly exit this phase and once again looked forward to going to practice. As a freshman on the high school team, Thompson is excited to begin a new chapter in her swimming career. So far, she has really enjoyed being part of the team and she has become a better swimmer. In addition to becoming a better swimmer, Thompson’s presence effects other swimmers on the CHS team. “She is a hard worker and leads by example on every set. Having her in the pool has helped the swimmers around her realize that they are capable of increasing their pace in practice resulting in improved performances by all,” David Kohmetscher, the head coach of the CHS girls’ swim team, said. Thompson is already seeing her hard work and dedication over the past several years pay off. 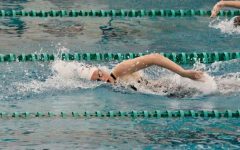 She qualified for the Missouri swimming and diving state meet in two different events, the 200 yard individual medley and 100 yard backstroke, which is an outstanding achievement in itself, especially as a freshman. 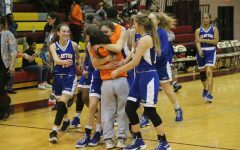 In the future, she looks to continue swimming for CSP and the CHS team. 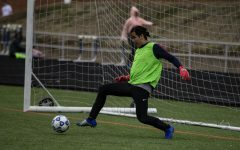 With regards to the high school team, Thompson looks forwards to having an opportunity to act as a leader and motivate and inspire other student-athletes. 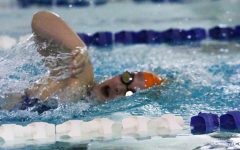 Thompson hopes to continue her swimming career after high school and swim at the collegiate level.